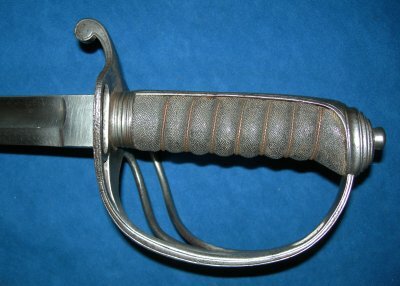 A very good condition 1821 pattern British light cavalry presentation sword to Corporal John Pratt of D Troop of the Leicestershire Yeomanry in 1879, as an award for persuing practice at a gallop. 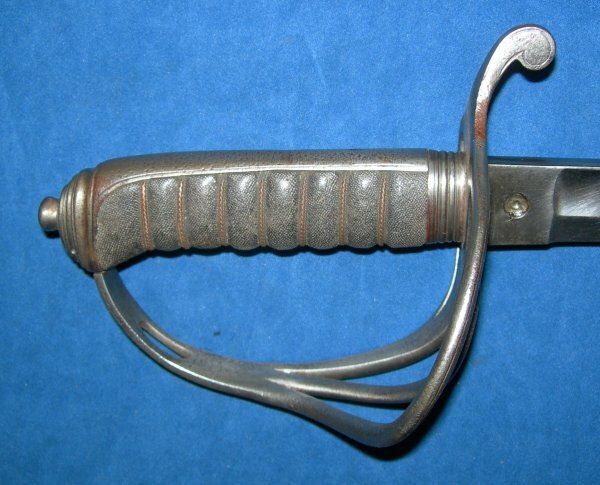 A very good sword, plain bladed except for the award / presentation inscription (no maker's name, royal cypher, etc.). 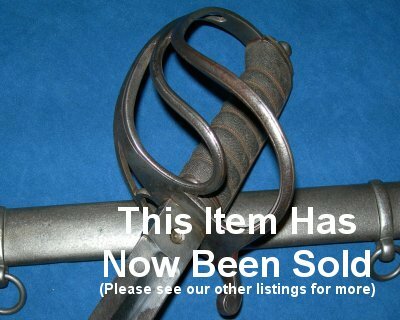 The 34 1/2 inch blade is in very good condition and firm in the hilt, the steel hilt equally good, as is the fishskin grip and associated twisted grip wire bindings. Steel scabbard also good. The sword sheathes and draws very well. A superb example. Please quote item reference H54 (1001). Further / full sized images available upon request.